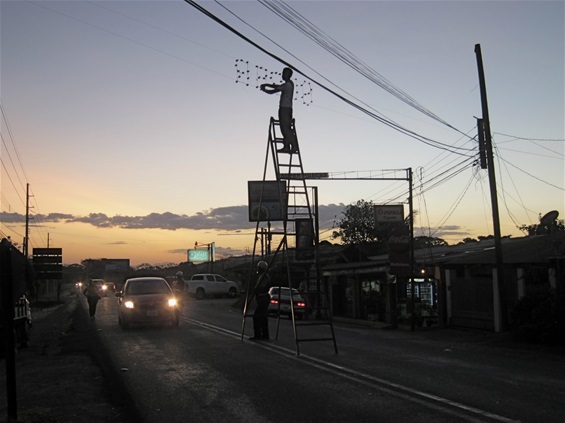 Hey, there’s going to be a festival in Huacas tonight - Great, lets put some lights over the highway to tell everyone. Yeah, I’ve got a 20ft ladder that we can put right in the middle of the highway. Good idea. Let’s wait until it’s dark. Yeah. Think it will be safe. Yeah.